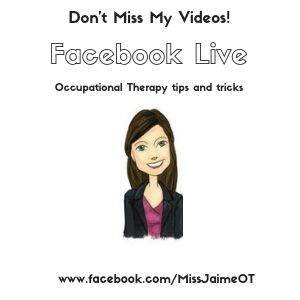 Ask an OT Archives - Page 2 of 4 - Miss Jaime O.T. That means nice weather, flowers blooming, and best of all, fun new stuff at the Dollar Store! By this time of the year, I’m a little sick of all my toys and games. 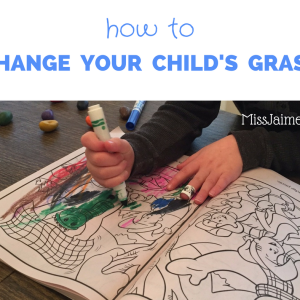 I’m ready for something different and fresh to keep my kids focused and having fun during therapy. 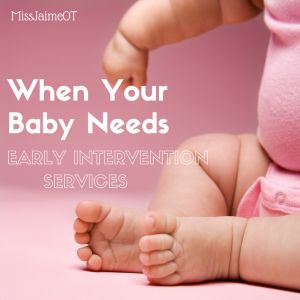 BUT – I already spent my OT budget, so I need to keep the costs down. Like a true budget diva, I head straight to the Dollar Store. Spring is a great time to stock up on cheap supplies that are only available at this time of the year, BUT, you can use them all year long. I’ve made a quick list for you – along with ideas to for how to use them! 1). Pool noodles – super cheap and easy to cut to different sizes. You can turn your pool noodle into a bat to hit balloons, use it to help position a child, or use it as a resistive material to stick buttons in. Now is the time to stock up! 2) Buttons – speaking of buttons, my dollar store (dollar tree) has lots of cute buttons in spring colors. These are perfect for working on manipulation, categorizing by size or sorting by color, and of course, buttoning! 3) Garden “Kneeling pads” – these are great to use as markers for “where” kids should sit during circle time. You can also use them as a visual cue during yoga or core strength activities. My #1 favorite way to use them is to actually have kids kneel. 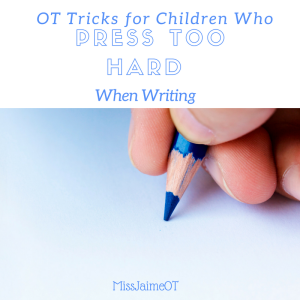 This makes working on a vertical surface fun, or can be a fun “alternative” writing position. You can also use them as a resistive material to stick things (golf tees?) in. They are pretty big, so they last a while. 4) Balloons – Balloons are available all year long, but by now I’ve always run out. Balloons can be used with tennis rackets, pool noodle bats, or hanging on a string from the ceiling. Put your child on a therapy ball and have them cross midline to “swat the balloon”. Use them with the whole class by playing “keep it up” until the music stops. Then have the children hold their balloon and write a spelling word on it with a sharpie. 5) Ping pong balls – Where do I start? Use kitchen tongs to pick them up and cross midline to put them in a bowl. Write words on them and have the children read the words as they “grab” the ball with their tongs. Sort them in an egg carton using word families. 6) Plastic eggs – I love to write on my plastic eggs with a sharpie. Then I can work on rhyming, writing, or matching. Write a capital on one side and lowercase on the other. Putting them together and taking them apart is great for bilateral coordination, visual attention, and motor planning! 7) Jump rope- jumping rope is such a hard skill for some kids. You can also use jump ropes to teach shoe-tying to a whole class. Use them for group games, to make circles for jumping in and out, etc. Teach knot tying and untying. 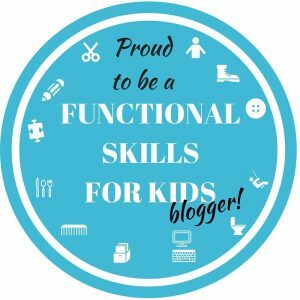 These are daily living skills that are really hard for some kids. 8) Egg dying kits – I love the little different colored baskets that come in the dollar store kit- I have the kids sort spring colored pom poms into the same color basket with clothespins. The powdered dye can be used to color homemade play dough or to dye pasta for sensory activities. 9) Craft stuff – Check the craft section for all the spring colored pom poms, crafts sticks, buttons, pipe cleaners, and beads. These are perfect for Mother’s Day crafts! I hope you found this list helpful! 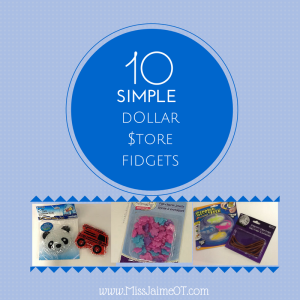 So tell me, what’s your favorite dollar store find? 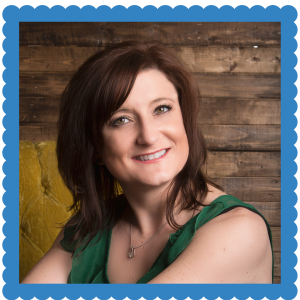 Learn more about Sensory Processing in this FREE webinar! Annual review time can be stressful for parents and teachers. Unfortunately, sometimes the child simply doesn’t qualify for what a parent is asking for. It’s very important to understand your child’s test scores and to know the special education process. The district will only provide special education services to a child who is significantly behind his peers. A child who is “Below Average” is NOT significantly delayed. Parents are often unhappy with “Below Average” or “Low Average”, but those terms are still within the Average range. First, a child meets eligibility criteria to be classified as a child who needs specialized instruction in order to access their curriculum. Then, the Committee on Special Education or the Committee on Preschool Special Education will classify that child into one of 13 different categories. 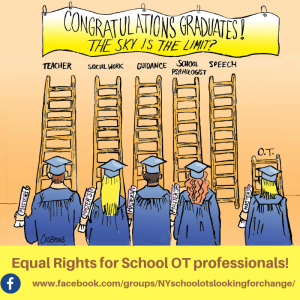 They will develop an IEP (Individualized Education Program). The classification DOES NOT determine the level of services a child will receive. For example, a classification of Autism does not automatically mean the child will receive more services. Get an instant 5% rebate on your purchase of Memory Ties with the Promo code “MissJaimeOT” until January 26, 2018! Learning how to tie your shoes is a giant leap toward becoming a “big kid”. Kind of like getting your first car or driver’s license. It feels like you are immediately branded as a “grown-up”. Yup, being self-sufficient below the ankles is a big deal. There are tons of tips and tricks to help kids achieve those “big kid” milestones. Learning to get dressed (including shoes) by themselves is really monumental in a kid’s life. Did you know that typically developing children are ready to learn how to tie between the ages of 4 ½ and 6? It’s true. Unfortunately, many elementary school children don’t learn for years after that. Do you remember when you first started using Pinterest? Really using it on a daily basis? 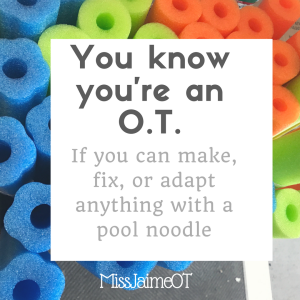 Not to mention the TONS of awesome OT activities and hacks I discovered, pinned, and started to use every day as an OT. 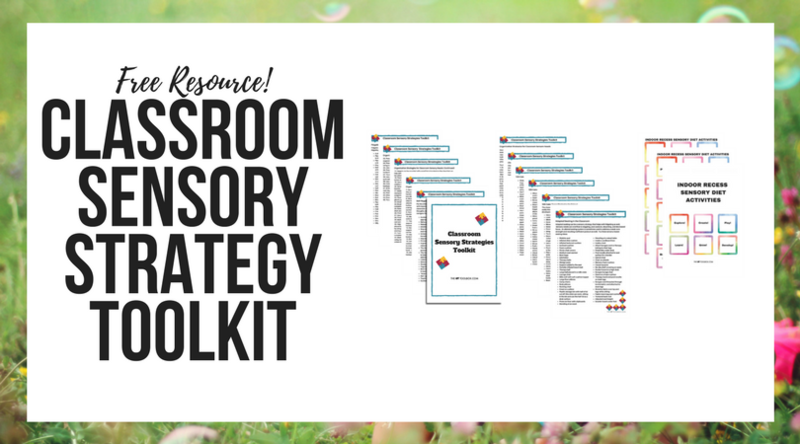 A resource like that is worth a million bucks. 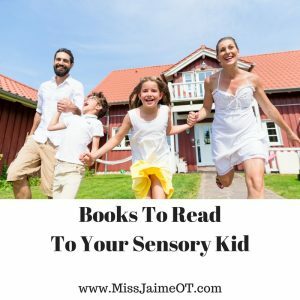 I FOUND ANOTHER ONE… A Sensory Processing Resource. The Twiddle® Sensory Toy is the answer you’ve been looking for! I’m so excited to write about a new product I found called the Twiddle®. This is a sponsored post, which means I was compensated to write about the product. I only endorse products that I use personally in my practice, and the Twiddle® Sensory Toy is a new favorite. Twiddles are soft, therapeutic activity/comfort aids that assist caregivers and professionals specializing in children with autism, ADHD, sensory processing disorders, developmental disabilities, and more. What is a Twiddle® Sensory Toy and what is it for? The Twiddle intrigued me when I first saw it – what an awesome idea! It’s a comforting, engaging tool that looks like a toy or a stuffed animal but functions as a sensory aid to keep a child’s hands busy and mind focused. It has gadgets on the outside and a soft flexible plastic orbit ball on the inside; perfect for active hands that like to squeeze, pull, and play! I’ve been an OT for seventeen years, but I’m embarrassed to admit that I’d never attended the AOTA conference until #AOTA15 in Nashville, Tennessee. Two years ago, my old roommate from college asked me if I was interested in attending #AOTA15 in Nashville. YES! I’d been dying to go to Nashville, it was a chance to hang out with my former partner-in-crime for a few days, so I was totally in. That trip totally changed my perspective on the AOTA conference. Truthfully, I had no idea what I’d been missing! Now, I can honestly say that I’ll make every effort to attend the AOTA conference each year. I decided to write this article to convince the Occupational Therapy practitioners who are thinking “hmm maybe…” to “YES!” for #AOTA17. Here are 10 reasons YOU should go To #AOTA17 in PhilLY!